Please feel free to browse our categories or search for specific herb plants using the plant search facility. We have a minimum order requirement of 3 plants. 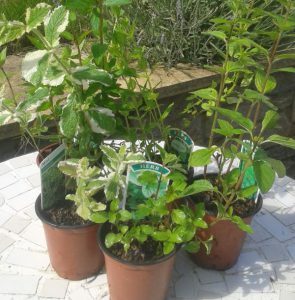 Your herb plant order will normally be delivered within 2 weeks during the growing season, although some orders may take a little longer if nature does not perform quite as intended! Many plants are seasonal, so please do get in touch if you can’t find what you are looking for. We are always happy to hear from our customers. If a plant is listed but out of stock, please contact us as it may be available in limited numbers or becoming available shortly. Note: We are currently aware that some U.K counties do not appear in the list. We ask that you choose the closest match and include your full Postcode. Delivery prices are for U.K mainland only. If you require delivery to any part of the U.K that falls outside of normal delivery rates, please contact us so we can make special arrangements. If experience any problems in purchasing online please contact us right away.